Want a water bills comparison in Scotland you know you can rely on? Unsure about the best way to find a water company? Is the range of choice in Scotland making the whole process too difficult? Then we are here to help. We work hard to get you the very best water bills comparison in Scotland so then you can make an informed decision. When providing comparisons for you, we take everything into account to make sure that you have all the information you need to make the best decision. How Can I Get a Water Bills Comparison in Scotland? It’s very simple. All you have to do is fill in the short form below, send it to us and then wait for us to get back to you with the water bills information you need. If you would rather talk to one of our experts, then you can give us a call on 0800 9777 000. Our team will be able to get you the results you’re looking for. Why Choose Us for A Water Bills Comparison in Scotland? We have a strong reputation as one of the most trustworthy comparison sites around. We have years of experience helping people find the right energy companies for them. 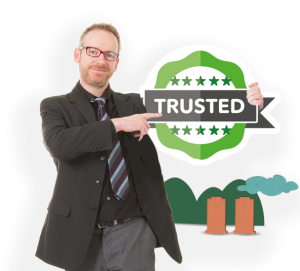 This means that we have expert knowledge in a wide range of different energy providers, which enables us to find you the very best deals. Our number one priority is to save you time and money so then you can get the right deal without all the stress and hassle. Compare Water Bills in Scotland Today! If you’re in Scotland and you are looking for a cheaper water provider, then give us a call now on 0800 9777 000. Our experts are on hand to help you find the right deal for you. Alternatively, you can fill in the form below and we will get back to you with some information so you can make the right decision for you. Save Money with A Water Bills Comparison Today! Our comparison services can help you potentially save hundreds or even thousands of pounds this year! Give us a call on 0800 9777 000 to speak to one of our energy provider experts. Or you can fill in the form below and we will get back to you soon!